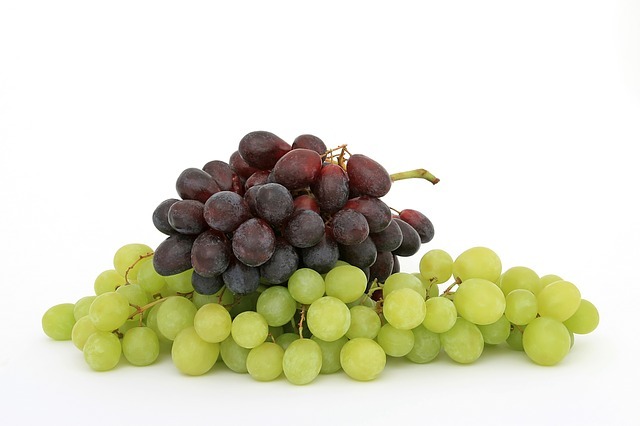 Grapes are favored for their sweet and juicy flavor. Grapes are low in calories. Grapes contain quercetin, a plant pigment that is thought to regulate the levels of blood cholesterol. High in pectin and bioflavonoids. Contain phytochemicals that may reduce risk for heart disease, cancer and stokes. A fair source of iron and potassium. A low-calorie sweet snack and dessert. Since they are often treated with sulfur dioxide to retard spoiling, grapes may present a problem for sulfite-sensitive people. Natural salicylates may provoke an allergic response.